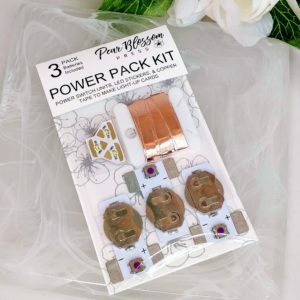 The Power Pack is a battery holder and button switch that allows you to quickly and easily create light-up cards without having to build your own switch. Remove plastic tab from between Power Pack and battery. Make sure battery is installed positive side up (+). Decide on LED and Power Pack placement on your card, mark with a pencil. 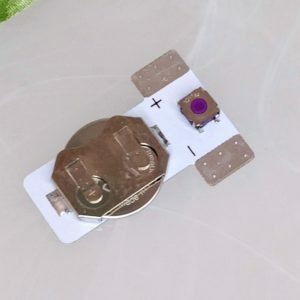 Use copper tape and LED stickers to form a circuit path, beginning at the positive (+) tab of the Power Pack and ending at the negative (-) tab. Apply strong adhesive tape to back of Power Pack (apply only over logo area, avoid getting adhesive near the silver tabs, as it may not allow electricity to flow between your circuit path and the Power Pack). 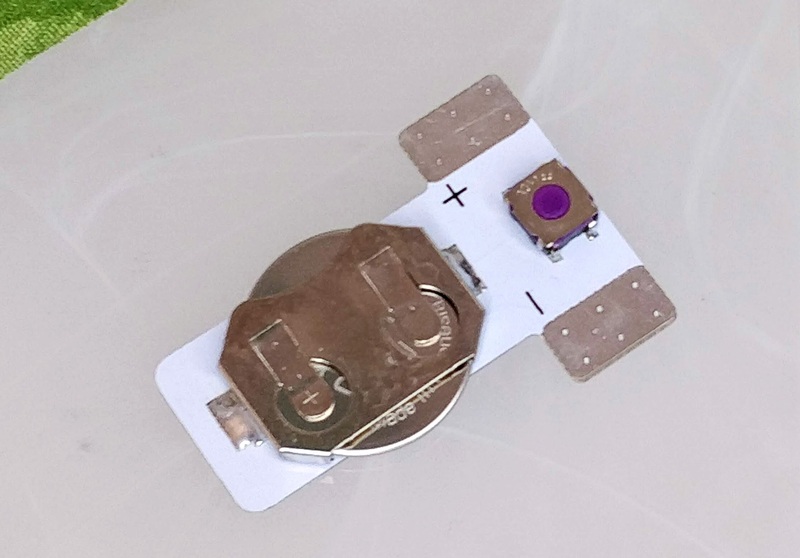 Adhere Power Pack to card with positive (+) and negative (-) tabs correctly lined up and touching the copper tape circuit path (see diagram above). Push button on Power Pack to test lights. Hide circuit path and Power Pack with a decorative card front, using a double layer of foam tape around edges. Be sure to mark “push” over button.